It has been a long time coming, but we wanted to make this the best resource available! 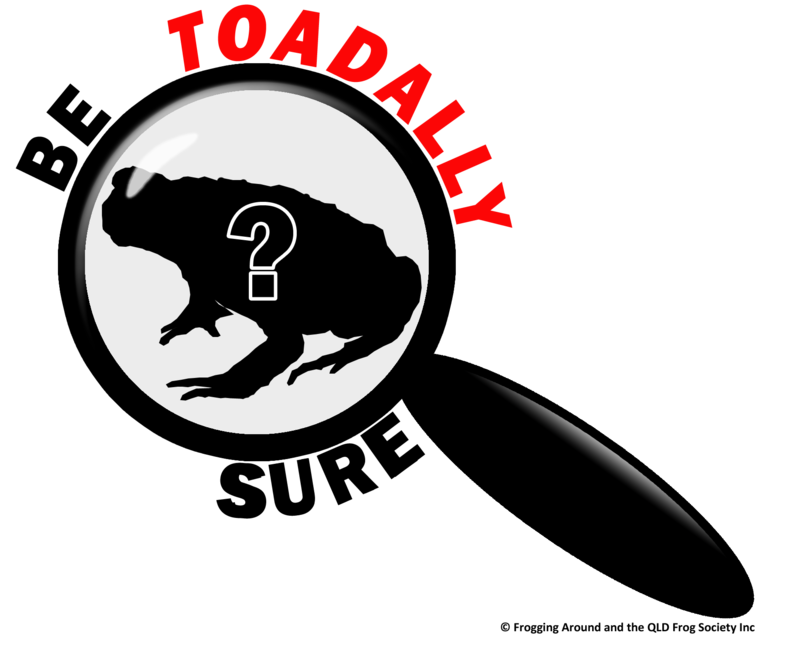 Click to view or download the ‘Be Toadally Sure’ brochure! Australia has many species of frogs, most of which are brown, and many of which don’t have smooth skin; perfect candidates for cases of mistaken identity with Cane Toads. 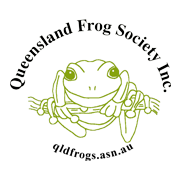 Therefore the aim of our new brochure is to allow anyone to read it and then ‘be toadally sure’ of whether they’re looking at a Cane Toad or a native frog. 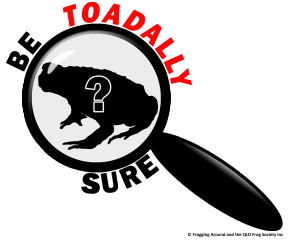 Despite our best efforts in the brochure, it may still remain difficult to identify small toads (less than 5cm in length), so these are best left to experts for positive identification. It is then your choice if you want to euthanase cane toads. If you do, then we only recommend the ‘fridge/freezer’ method, as endorsed in the brochure, scientifically established 1, and recommended by The Australian and New Zealand Council for the Care of Animals in Research and Teaching (ANZCCART)2 as a humane method of cane toad euthanasia. Simply put the cane toad in the fridge for several hours, before transferring to the freezer for several days.